We just got word that there are 2 openings on this trip...interested? As for our Day Bus Trips, again this year we are planning on planning our trips for both Saturday and Sunday. DAY BUS TRIP SCHEDULE USUALLY BECOMES AVAILABLE TO MEMBERS SOMETIME IN LATE SEPTEMBER OR EARLY OCTOBER. Not just for families, this is a wonderful weekend event, sponsored by the Connecticut Ski Council for their clubs to spend a weekend competing against one another for points in a variety of different events. There's a tug-of-war, a ski-boot volleyball event, ski and snowboard racing for members of all ages, just to name a few. This is a great event to get out and support your club, meet other members and make new ski friends. You must be a Winterset or Sterling member to go on most of our trips. Should a trip be open to other CSC Clubs, you will be able to access trip details from the public area of the website. 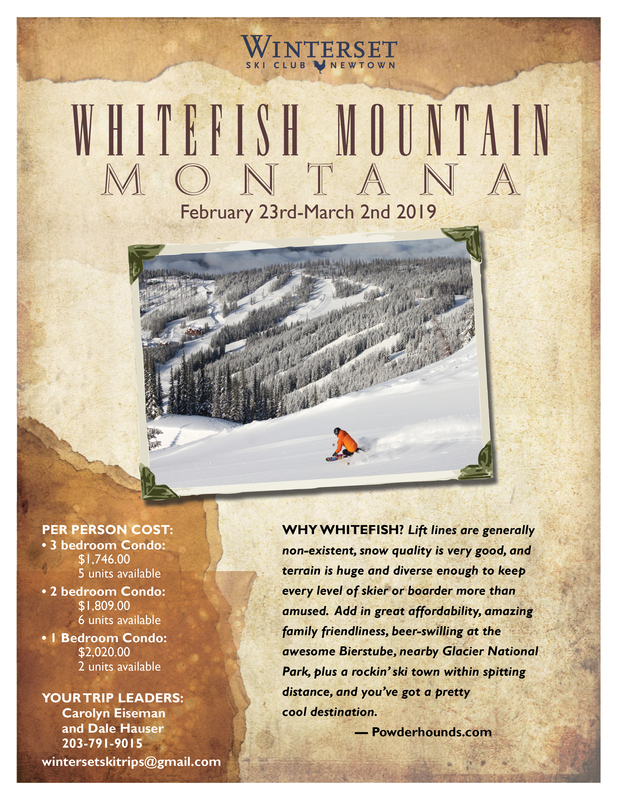 If a trip is announced before the next ski season members and potential new members wishing to go may sign up and put down a deposit when the trip is announced -- in order to reserve your place on that trip, your membership must be paid in full by October 1st. Members and potential new members not having paid their membership by October 1st may lose their reservation to a fully paid member who is on the waiting list.